Amy Winehouse is an English singer-songwriter. She has been the subject of considerable media attention, in large part due to matters concerning her and her husband's personal life. Here is the perfect DVD for Amy fans to experience her magic. The DVD features a 50 minute film piece covering the rise of Amy over the last 4 years. 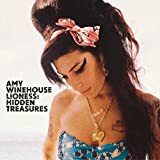 Included are TV appearances, live shows, unseen footage of early performances, plus interviews with Amy's father an a unique insight into the artist herself in some rare filmed interviews. Also included is a 60 minute live concert from London's Shepherds Bush Empire. This title carries a parental advisory. 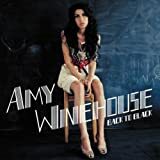 Back to Black tells the real story of how Amy’s best known and most celebrated body of work came into being. 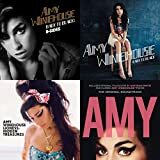 Featuring previously unseen footage of Amy in the studio, new interviews with producers Mark Ronson and Salaam Remi, and the musicians who worked on the album, it offers fresh insights into Amy’s remarkable gifts as a singer, songwriter and performer. Also includes An Intimate Evening In London, footage from a private show Amy hosted in Feb 2008, which has never been seen – until now. Listen to the best of Amy Winehouse as she shares her sorrow and soul. Limited edition vinyl LP pressing of the uber-successful sophomore album from this UK vocalist. Although her 2003 debut was a success, her rowdy offstage behavior became the focus of tabloids and critics instead of the music. Because of this, Winehouse stepped out of the spotlight and concentrated on putting the focus back on her music. Three years later, her sophomore release surprised critics and excited her fan base. 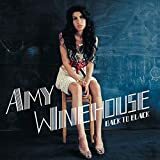 Combining a strong, Jazzy vocal style with often frank lyrical content recounting tales of love and loss, Winehouse is a truly talented songwriter with a good ear for melody, making this album an essential purchase. Universal. Double vinyl LP pressing. 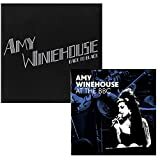 2011 posthumous release, a collection of previously unreleased tracks, alternate versions of existing classics, as well as a couple of brand new Amy compositions. 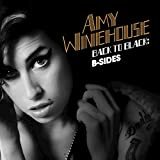 Following her tragic passing, some of the producers and musicians who worked closely with Amy Winehouse, among them Mark Ronson and Salaam Remi, spent time listening over the many recordings that Amy had made, before, during, and after the release of Frank and Back To Black. It was said by all who worked with Amy that she never sang or played a song the same way twice. 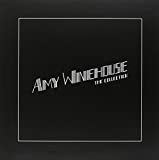 It quickly became apparent to Salaam and Mark that they had a collection of songs that deserved to be heard, a collection of songs that were a fitting treatment to Amy the artist and, as importantly, Amy the friend. 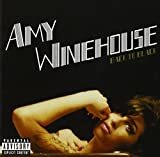 2007 release, the first time Amy's debut has been available in the U.S. Years before Amy Winehouse garnered international attention with Back To Black, the sassy British Soul singer put herself on the U.K. music map with her 2003 debut, Frank. Nominated for the prestigious Mercury Music Prize, the record glides along on the subtly jazzy production of Salaam Remi, which allows Winehouse's expressive voice, strongly influenced by Billie Holiday and Dinah Washington, to shine, particularly on the Trip-Hop-tinged 'Stronger Than Me,' the powerful 'You Sent Me Flying,' and the sultry 'I Heard Love Is Blind.' Although not quite as consistent or daring as her subsequent album, Frank is an impressive first outing that should win over anyone swooning from Back To Black. NOTE: The 2nd CD is a DVD, use DVD player to play. 2012 two disc (CD/DVD) set from the beloved British vocalist. This set includes a CD that features 14 rare BBC recordings dating from 2004 to 2009. The DVD, The Day She Came to Dingle, is a short film featuring a fascinating interview with the artist intercut with Amy, at the height of her powers, delivering an electrifying 20 minute live performance recorded in December 2006 in a tiny church. 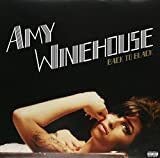 The DVD was taped two months after Back To Black was released. Amy went on to win five Grammy Awards including Best Record, Best Song, Best New Artist, a Brit Award, two lvor Novello Awards arid many more. This collection will prove. once more a fitting tribute to her peerless artistry. phenomenal talent. and extraordinary powers as a songwriter, a singer and an interpreter of classics. 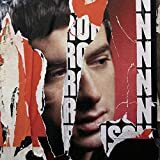 Frank is the extraordinary debut album of Amy Winehouse, a winner of the Ivor Novello award for songwriting excellence, a nominee for the prestigious Mercury Music Prize and a multi-platinum success in the UK and across Europe. Now available on vinyl for the very first time, the album features the singles 'Stronger Than Me,' 'You Sent Me Flying' and 'F-Me Pumps.' The bulk of the album was produced by Salaam Remi, who would go on to produce half of Back To Black. This is a bundling of two Amy Winehouse cds. Including the Back To Black deluxe cd and the cd At The BBC live. This bundling include so many Amy Winehouse Hits. 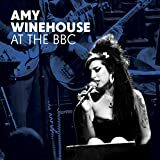 The album double cd At The BBC is a compilation of Amy Winhouse - Greatest Hits - Live.